Gallery No. 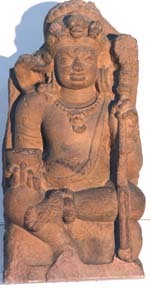 5 exhibits Hindu deities like Shiva in different forms, Vishnu, Ganesha, Kartikeya, Agni, Parvati, Navagrahs (nine planets) with Ganesha, Lakshmi and Saraswati. 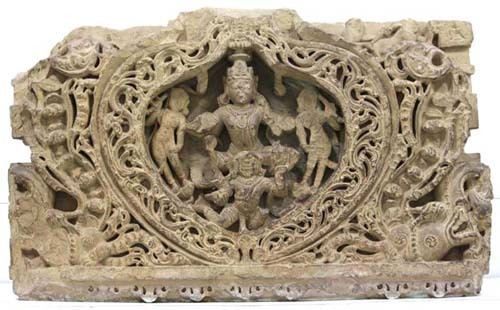 A panel depicting Navagrahas with Brahma, Vishnu and Mahesa is also remarkable. 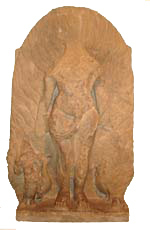 Shiva as Bhairava (aggressive form of the Lord) is one of the finest Brahmanical images found at Sarnath. 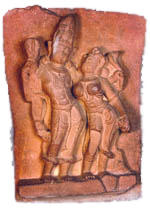 A colossal Andhakasurvadha (killing of demon Andhaka) image of Shiva in his terrific form is also noteworthy. Medieval, 10 - 11th cent. C.E. Medieval, c. 11 - 12th cent. C.E. Early Medieval, c. 9th- 10thcent. C.E. Early Medieval, c. 9 - 10th cent. C.E. Medieval, c. 11 - 12thcent. C.E.